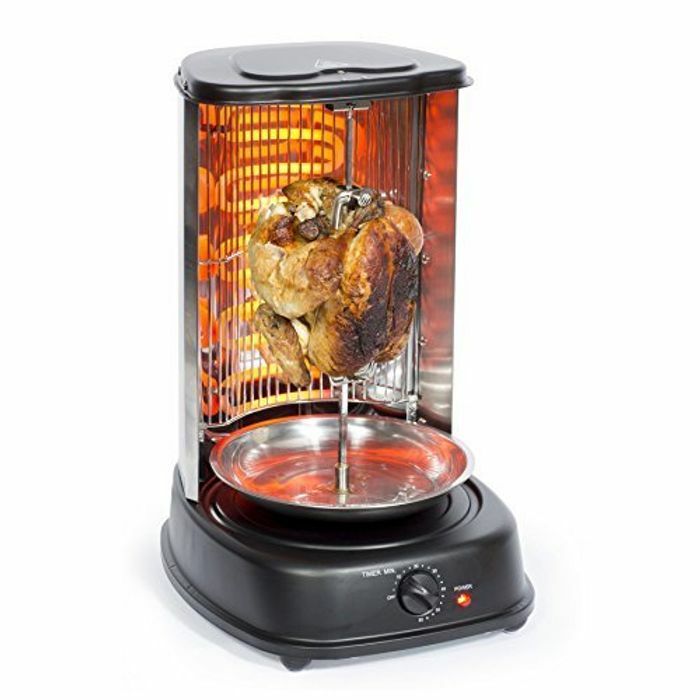 Create succulent slow-roasted meats and vegetables with less fat with the Rotating Vertical Rotisserie. Simple and easy to use, the grill has easy accessibility whilst also allowing you to check on the progress of your food. Ideal for a range of meals from Sunday roasts and kebabs, this appliance is a versatile addition to any kitchen and cooks quickly and efficiently. Featuring 2000 W of cooking power, the vertical grill drains away unwanted fat into a drip tray for healthier cooking. Enjoy the benefits of an electric roaster without losing valuable counter space. 2000 watt of stainless steel heating element. 60 minutes switch-off time. Safety net over the heating element.